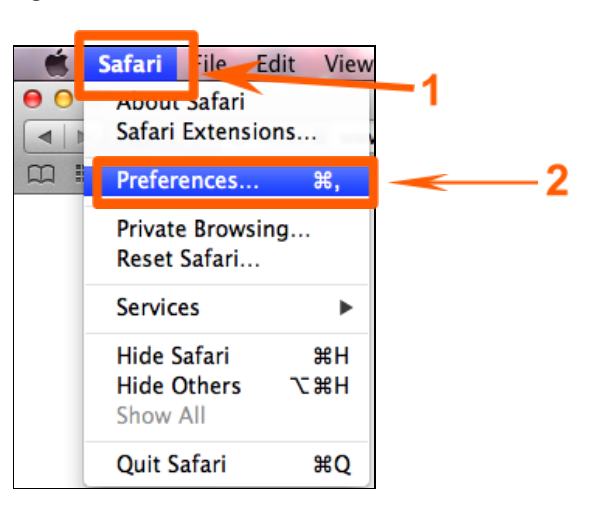 Step 1: Open Safari and then go to “Preferences”, accessible from the Safari menu. Step 2: Select the "Security" icon in pop-up window. Click “Plug-In Settings". Step 3: Click on the Adobe Flash Player in the list to the left. 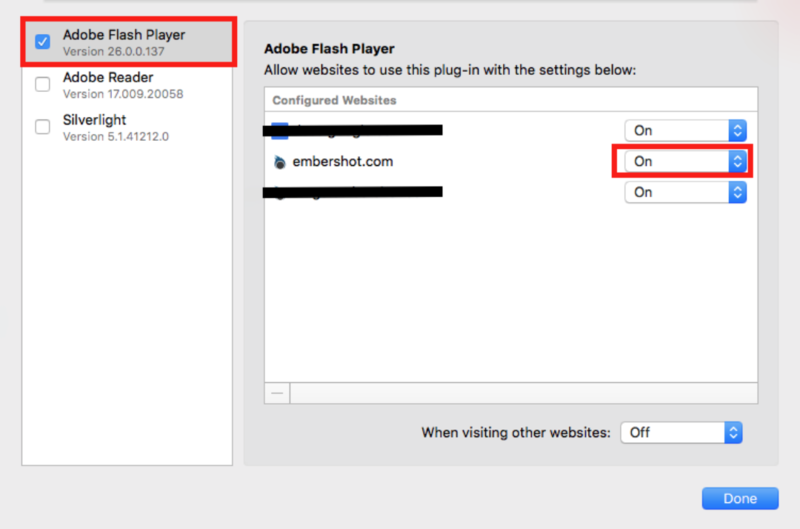 You’ll need to go to the websites you want to set the Flash preferences for and they will show in the list to the right. Find Embershot in the list and change the dropdown to "On" then click "Done".